Arrange your cleanings around your schedule, receive a reminder the day before your cleaning, and pay by credit card, check or cash. No contract to sign and no need to run to the store for supplies – we bring our own cleaning products. There’s nothing for you to do but come home to a thoroughly cleaned house, condo or apartment. We call it no-hassle-housecleaning. 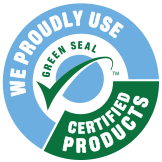 And we use eco-friendly products, too, which leave your home sparkling clean and fresh. Have peace of mind knowing who is working in your home. 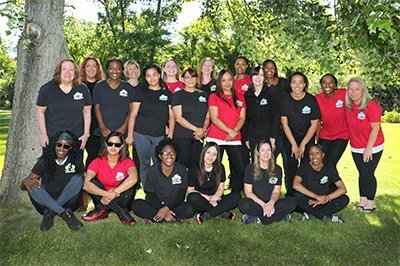 We take the utmost care in selecting and training employees who meet our strict standards of ethics, by performing full background and reference checks, and educating our cleaners through formal, documented, ongoing training programs and regular quality assessments. Your well-trained, English-speaking, insured and bonded cleaners have a genuine enjoyment for getting your space completely clean, and they treat your home and belongings with care and respect. The house looks great – especially the floors and the bathrooms. I’ve been so overwhelmed and it is so nice that I don’t have to worry about this anymore. I’m absolutely thrilled with my cleaning! For this first cleaning, I met the cleaners at my house so that I could give them a key for future cleanings, and all four women were just lovely–very nice and warm. I love that my office/basement feels so refreshed! The whole house smells so good and is just immaculate! We LOVE Xiomara and having her come is the best thing that’s happened to our household peace and comfort! We are always so happy to see her and have her positive and warm presence in our house and she always does a lovely job. Thank you so much for making this work for us! This was the best gift ever. I have a dog and 3 cats so you can imagine the fur and dust. The ladies worked hard all afternoon and I was very impressed – the house looks as good as it smells. They were a pleasure to have in my house and I will certainly recommend you to my friends. The women did a remarkable job cleaning our large and very dusty house. They were LIFESAVERS! They were very professional and efficient . . . We absolutely want to have your service back. My husband and our landlord’s real estate agent (who were onsite during the cleaning) were extremely impressed by the work and how it has “transformed” the apartment. Thank you so much! This really is such a tremendous help. My fiancé has 2 jobs and I have a full time job and am going to school full time, so to have this kind of help around the house is a gigantic weight off of my shoulders. Thank you. I wanted to let you know that we are extremely happy with our clean home! Everything was cleaned perfectly. The ladies were a pleasure to have at the house. I cannot explain the feeling I had walking into the house yesterday. The amount of excitement and relief isn’t even describable! The attention to detail, the thoroughness, they went above and beyond my expectation. I LOVED THE BASEBOARDS! I am not sure they have ever been this clean! LOL It’s the little things! My husband noticed how clean it looked! It was wonderful to come home from work this afternoon and see and smell a clean home. Your team did a wonderful job, including personal touches (leaving a friendly note and arranging blankets & stuffed animals in my son’s crib.) Thank you for promising – and delivering – great service. I just wanted to let you know how pleased we have been with cleaning services, especially this past week! Everything was taken care of, down to the fluffed up dog bed. Please pass on our sincere thanks. As a working mother I cannot express to you how relieved I am to have such reliable help keeping this place clean! how thoughtful she was with our children during her visit. It was great to meet you this morning, and I just wanted to thank you personally for the excellent job your cleaners, Paige and Eve, did on my place today. Thank you for such a great experience! I am not too good or too proud to keep my place picked up and clean, but I am too doggone busy! Emily did a dandy job. The place sparkles. Thank you for being right there! Just wanted to let you know the two women you sent today to clean my home did a super job. Thank you for their attention to detail. My home was the cleanest it’s ever been and Sharon didn’t miss a single detail . . .she did an amazing job. I rejoice in my clean home. Thank you again…..she’s terrific. I found your information on a University vendor list – so glad I did! I have had multiple cleaning services in the past and have never experienced such consistent organization, detail, and friendliness from the office staff to the cleaners. Very impressed with you ladies and will pass your name along to anyone I feel would benefit from your wonderful services. I wanted to thank you for the service that you provided for my mom today. Emily and Jessica did a great job. My mom has been ill for almost 3 years now and knowing companies and people like you are willing to help makes this roller coaster ride a little smoother for her. Thank you for your compassion and commitment to helping people like my mom. (Belle Home) has been wonderful to work with. Whenever I need their services, which has been often this summer, they have always arranged to come, even when I gave very last minute notice. They are lovely to work with, responsive, timely and always accommodating. Their cleaning is excellent, thorough, and impeccably clean and sparkling. I can’t say enough good things about them! They’re top notch and really lovely people. I just wanted to compliment the Belle Home cleaning staff who came by our apartment earlier today . . . My husband and I were very impressed. We were THRILLED with the results of my mom’s house cleaning. Thank you so very much. I don’t know the names of the two women who worked so hard, but they did a spectacular job. 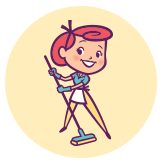 You are truly a local, friendly, and yet extremely professional home cleaning service that always delivers. Your workers are kind, thorough, and meticulous, and exemplify the fact that in my mind, you are truly a “5-star” company. Belle Home is a very responsible, green and accommodating cleaning service. 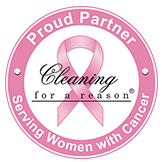 They are highly personable and sensitive to ones specific cleaning needs. I couldn’t be happier with this service. I walked into my house after they were finished and I was amazed at how thorough they were. I would recommend them to anyone. Enjoy more free time and a comfortable, clean home! No more forgetting your cleaning date! We send you a reminder via text, email or phone call. There’s nothing for you to provide, we bring our own cleaning products and equipment. 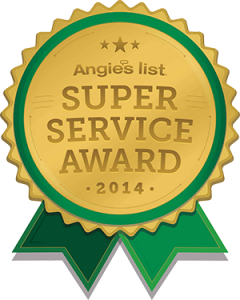 Your cleaners are screened, vetted and background checked, and we are bonded & insured. Your cleaners will arrive promptly, and in uniform. All our staff speak English. We use our 48-point checklist every cleaning so that everything is cleaned, every time. Belle Home is a local woman-owned business. We treat your home &belongings with care and respect. Change, pause or cancel service at any time-no contracts. Enjoy a clean, tidy home and have more time to do the things you’d like to do! We understand how hectic life is. There’s never enough time to do the things that you need to do, let alone the things that you want to do. And housecleaning seems to be the first thing to fall by the wayside. No one wants to spend their few precious hours of leisure time on their hands and knees, scrubbing the house.